Christian Bautista’s song Tetaplah Dihatiku ("Please Be Careful with my Heart" feat. 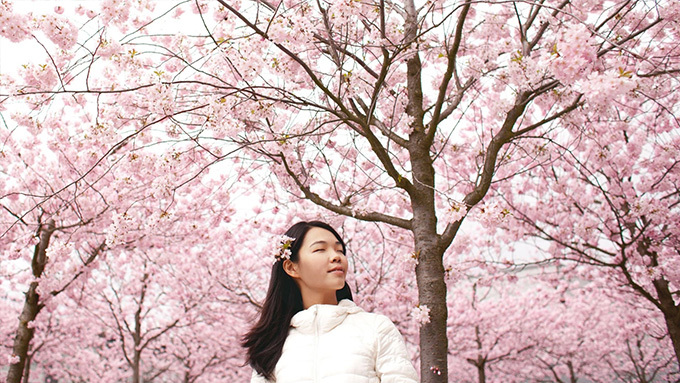 Bunga Citra Lestari in Bahasa) was able to generate over a million downloads. This earned for him the Double Platinum Award in Indonesia. 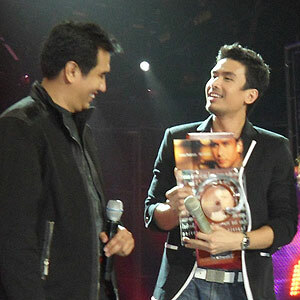 Christian Bautista was awarded the Double Platinum Award for over a million downloads for the song Tetaplah Dihatiku ("Please Be Careful with my Heart" feat. Bunga Citra Lestari in Bahasa) by Aquarius Records. Indonesia Marketing Head Mr. Meidi Ferialdi graced the September 5 episode of ABS-CBN’s ASAP XV to confer the award to Asia’s Pop Idol. Mr. Ferialdi arrived the night before to surprise Christian live on the said noontime show. Upon hearing this, it’s composer and original singer Jose Mari Chan said, " That’s great news! It’s now the next generation singing that song with Christian Bautista. I am proud to have written that song and happy that Christian is carrying the torch to the younger generation." In the early ’90s, the song "Please Be Careful with my Heart" was part of Jose Mari Chan’s album Contant Change. Not only was it released and became a massive hit in the Philippines, it also reached the shores of Indonesia and other parts of Asia. Jose Mari says that in Indonesia it hit Triple platinum. His first big hit in Indonesia was the song "Beautiful Girl" and then it was followed by the duet "Please Be Careful with My Heart" that he sang with Regine Velasquez. In 1991, however, Regine moved to another label, Vicor, so while in Indonesia Jose Mari promoted the song with a famous female Indonesian singer Titik Puspa as a replacement to Regine. Jose Mari Chan remembered even guesting in RCTI Network and did a music video with Titik Puspa to promote it as a single.